Two campaign groups have urged the Minister for Children to publish an outstanding report on mother and baby homes, and said the State must ensure that all human remains buried in unmarked graves at institutions in Ireland are identified. 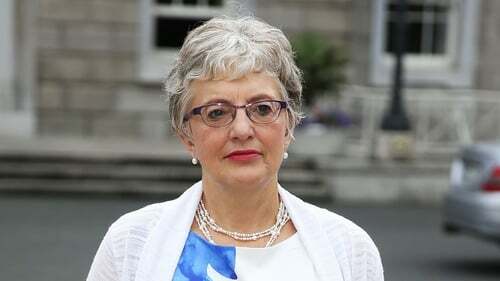 The Adoption Rights Alliance and Justice for Magdalenes Research groups demanded that Katherine Zappone publish a five-month-old report from the Commission of Investigation into Mother and Baby Homes on the issue of broadening the probe's terms of reference. On receiving the interim report last September, Ms Zappone said she intended to publish it after considering its findings. She promised she would do so "as quickly as possible" because she was "mindful that many people and their families have strong personal connections to the work of this commission". At the time she also announced that she was sending the report to the attorney general for her advice and that she would respond to the issues raised by the statutory commission in consultation with her Cabinet colleagues. In a statement this evening, ARA and JFMR reiterate their call on the Government to broaden the investigation's scope beyond the 18 homes currently under the spotlight. They say it must investigate all institutions, agencies and individuals which dealt with independent Ireland's unmarried mothers and their children and must include the burial practices of each of them. In a statement, the groups say they are saddened by the commission's discovery of "significant quantities" of infant remains on the site of the former mother and baby home at Tuam. However, they stress that "Tuam is but one institution in an ad hoc and almost entirely unregulated, State-funded system which had responsibility for the care of unmarried mothers and their children". They add that today's disturbing development underscores that the State failed in its duty of care towards these individuals. "In the context of these revelations, and in the public interest, we also reiterate our call on Minister Zappone to publish the commission's second interim report without delay," the statement says.